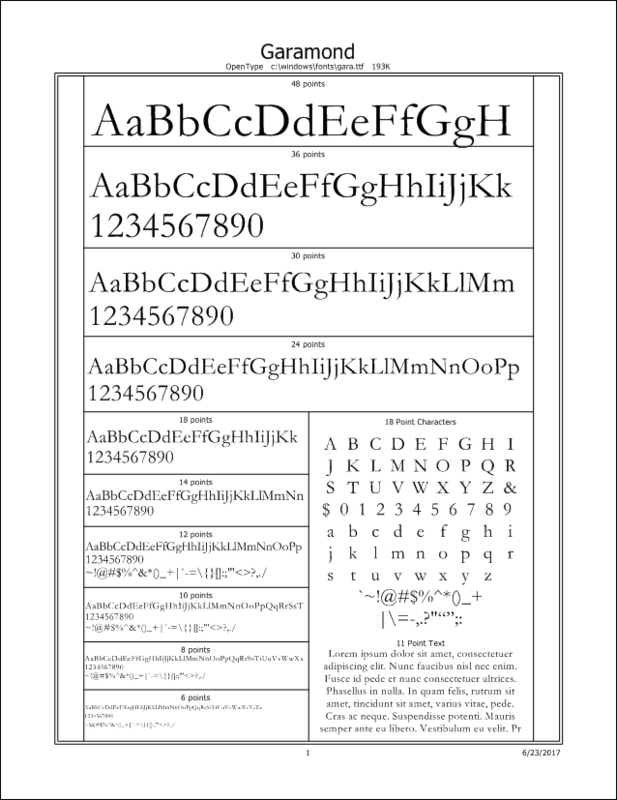 Printer's Apprentice can print high quality, professional looking font catalogs and sample sheets (or font specimens) for your collection. 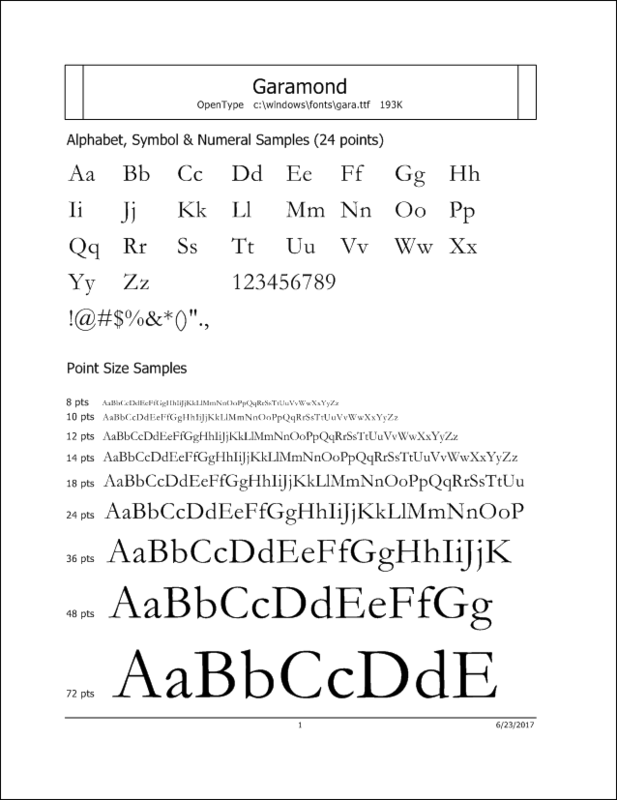 Catalogs and sample sheets show you exactly how a font appears on the printed page. 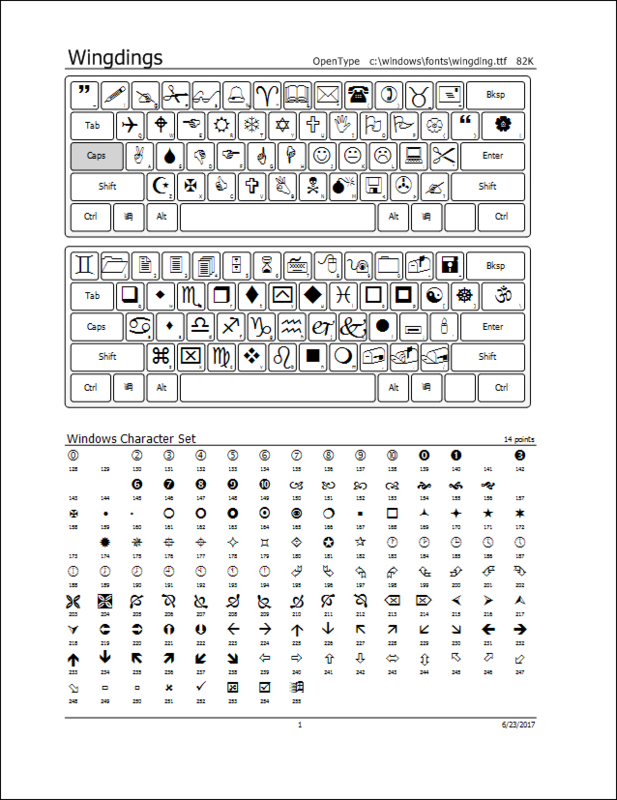 They are a valuable tool for selecting fonts for a project. 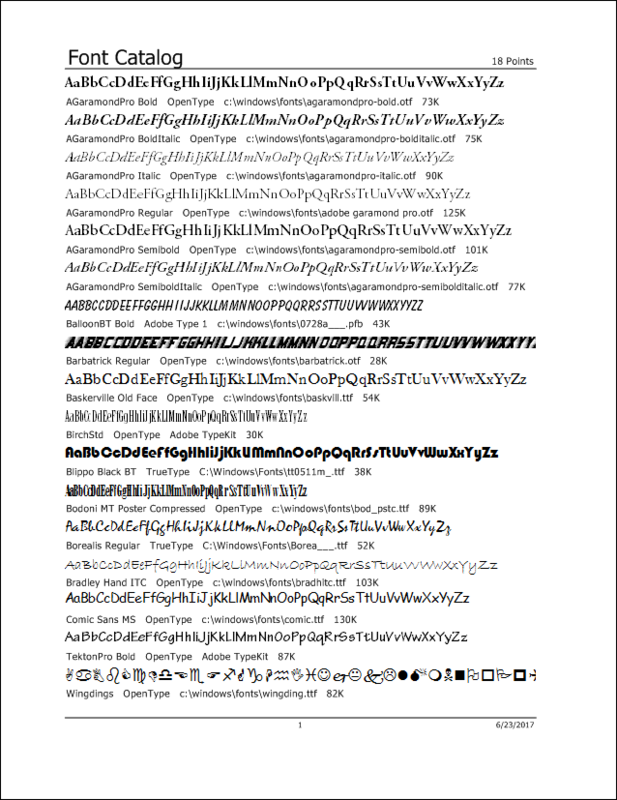 The images below were taken from the Print Preview dialog in Printer's Apprentice. 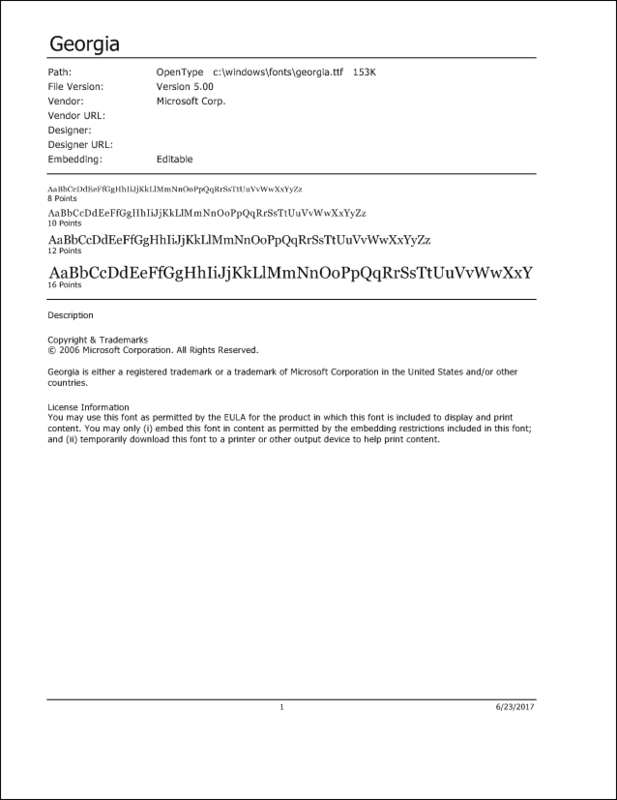 Click on a page below to view the full sized PDF version. 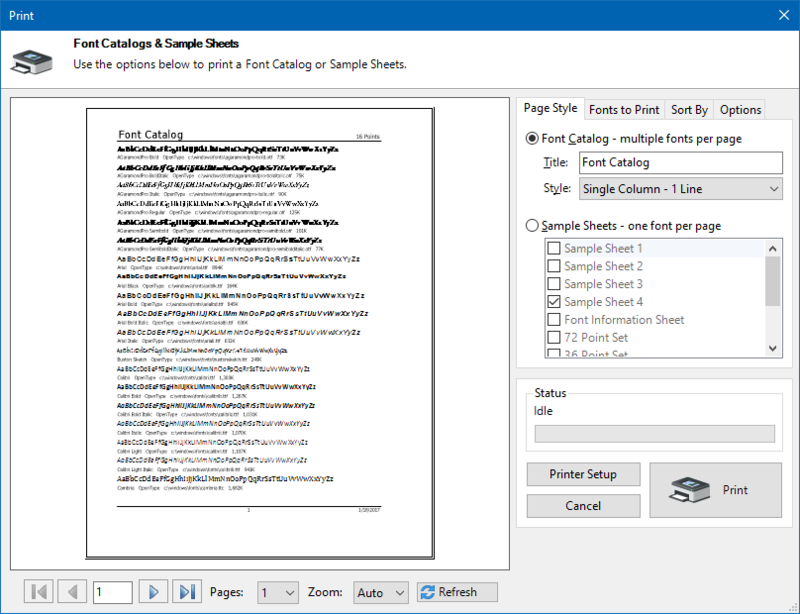 The font catalog and sample sheet PDFs were generated by Printer's Apprentice and the "Adobe PDF" print driver that ships with Adobe Acrobat. 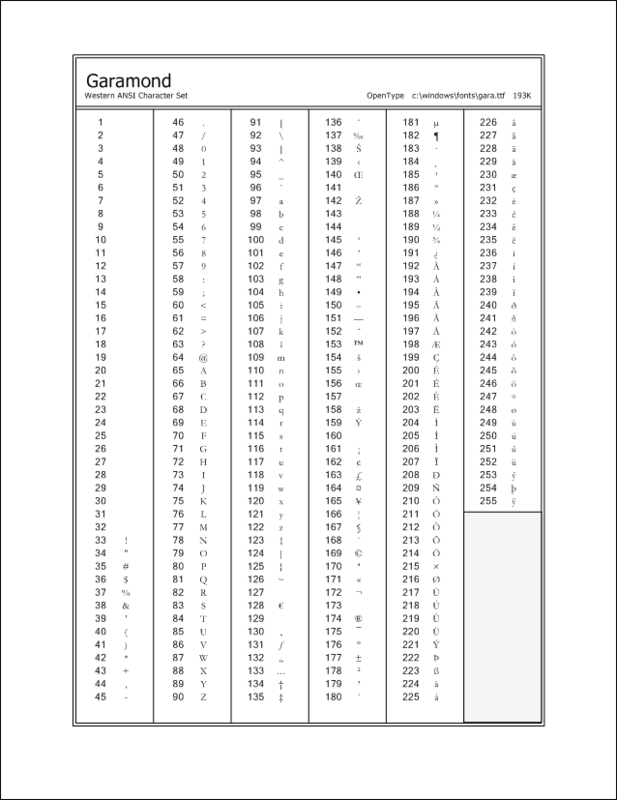 Be sure to also check out complete list of screen shots. 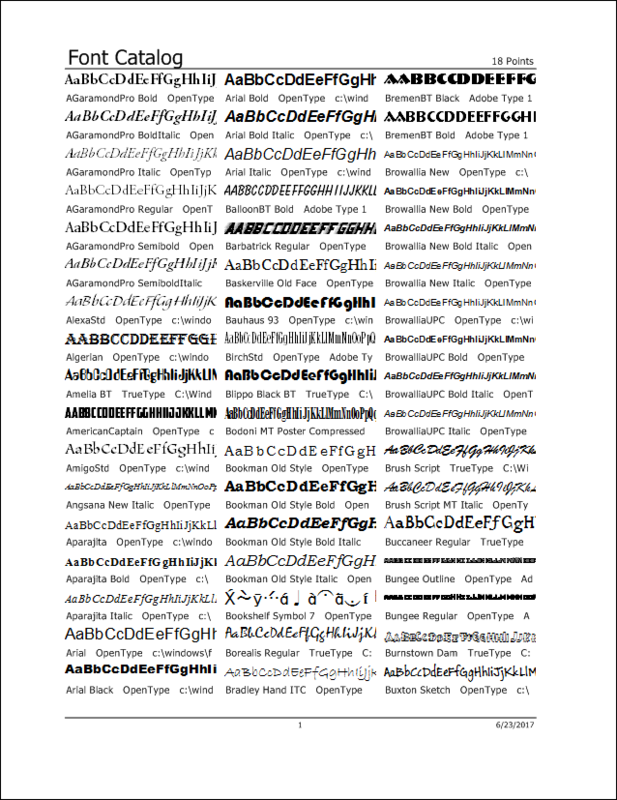 A font catalog prints multiple fonts on one or more pages. 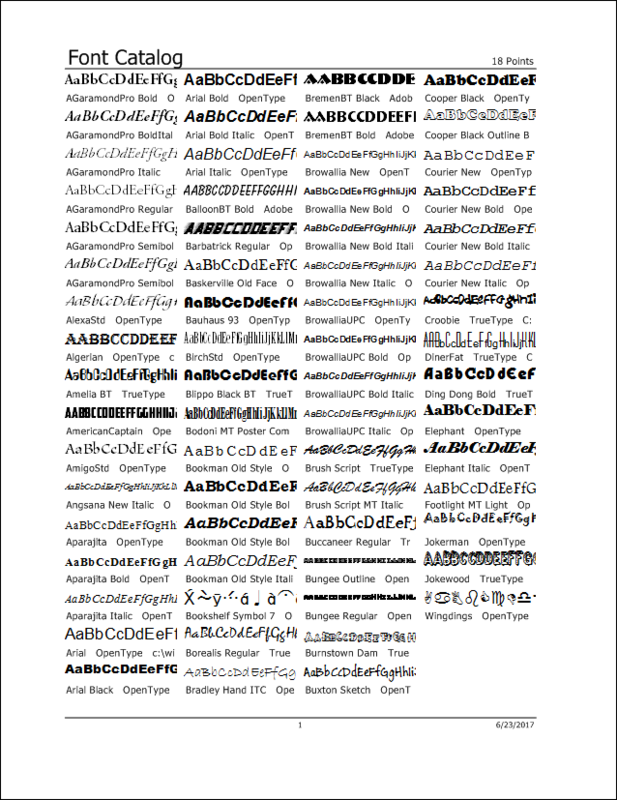 Printer's Apprentice can print 9 different font catalog styles. 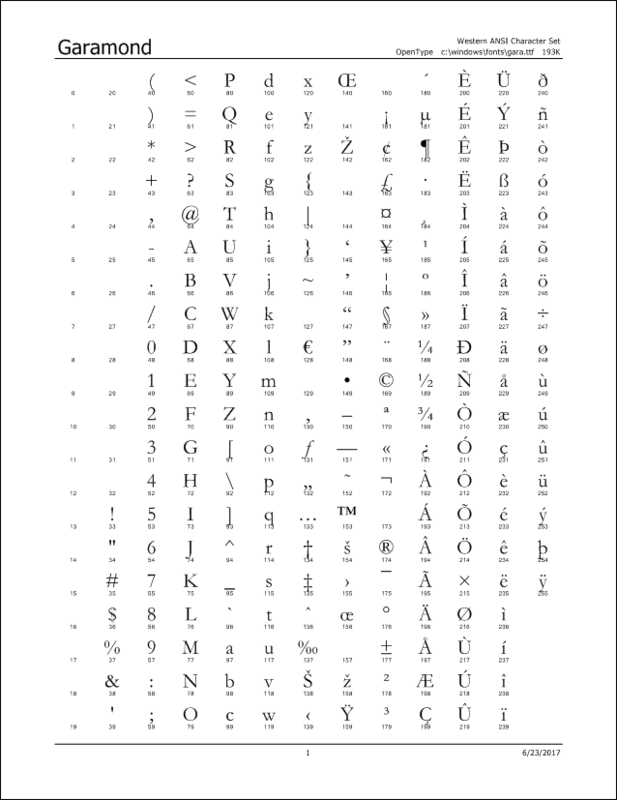 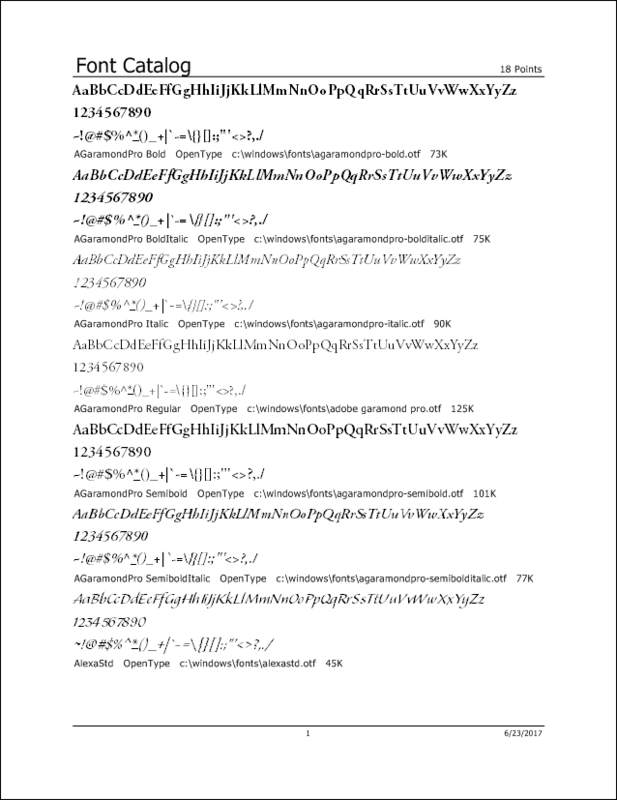 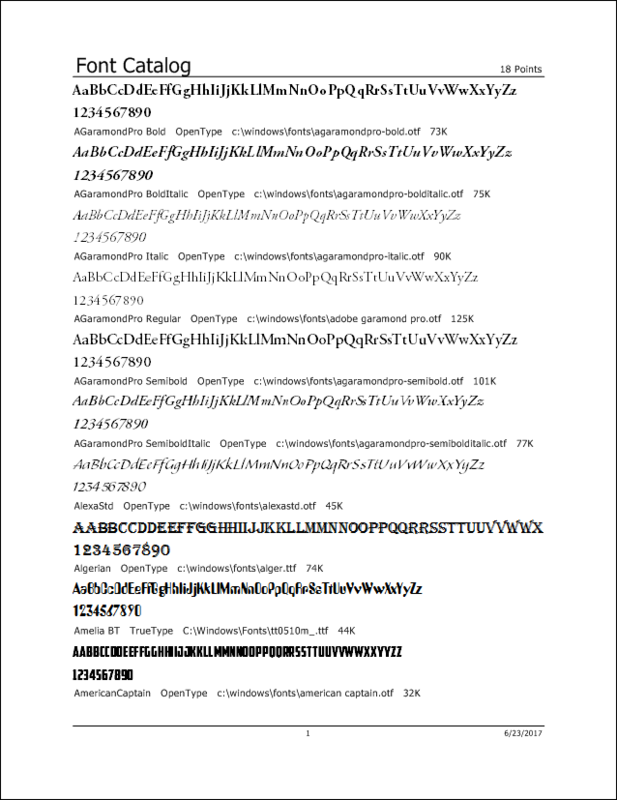 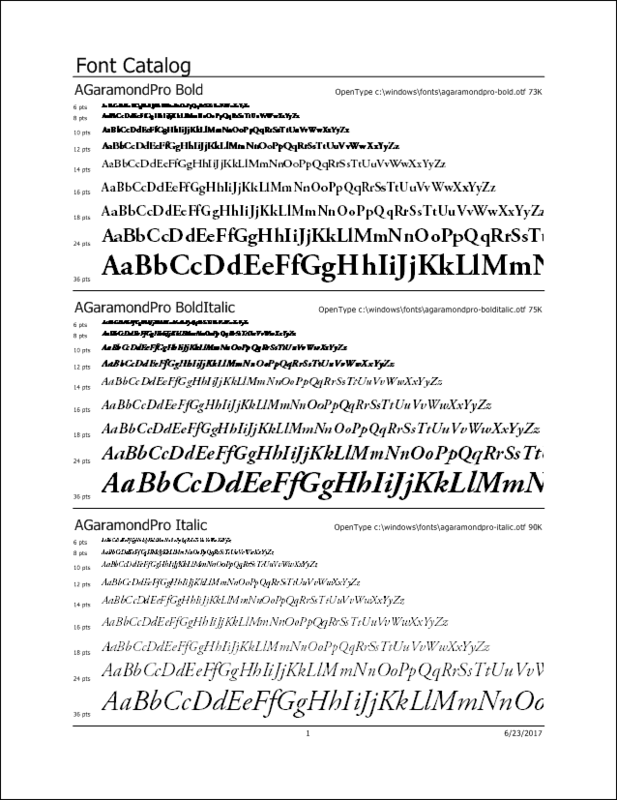 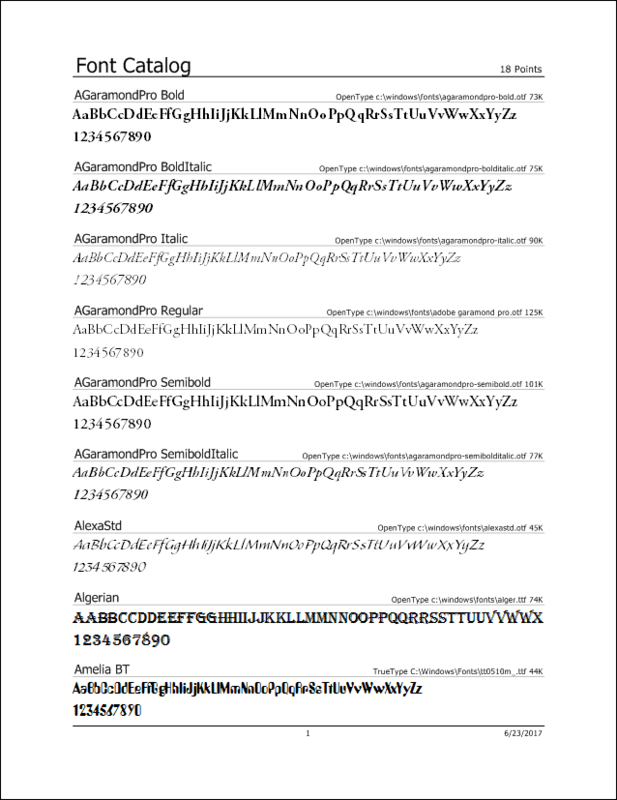 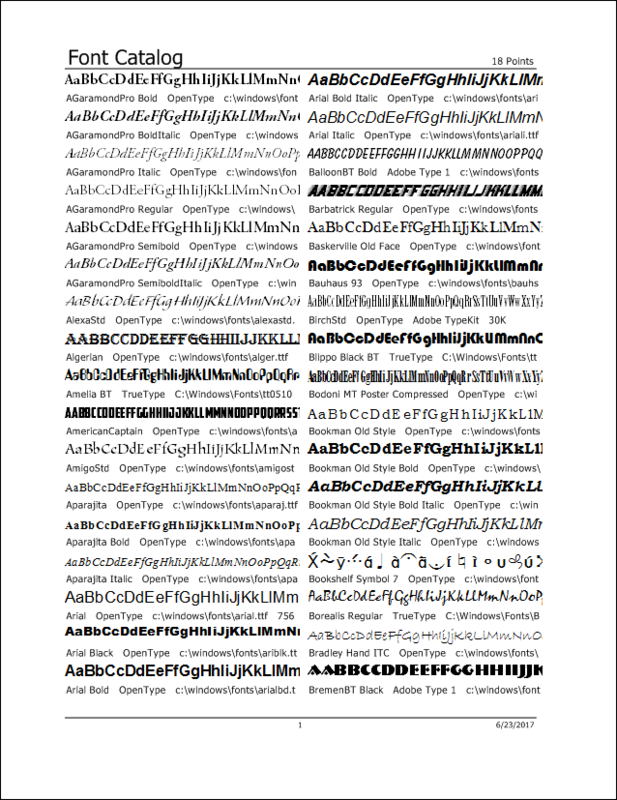 A font sample sheet prints a single font on a single page. 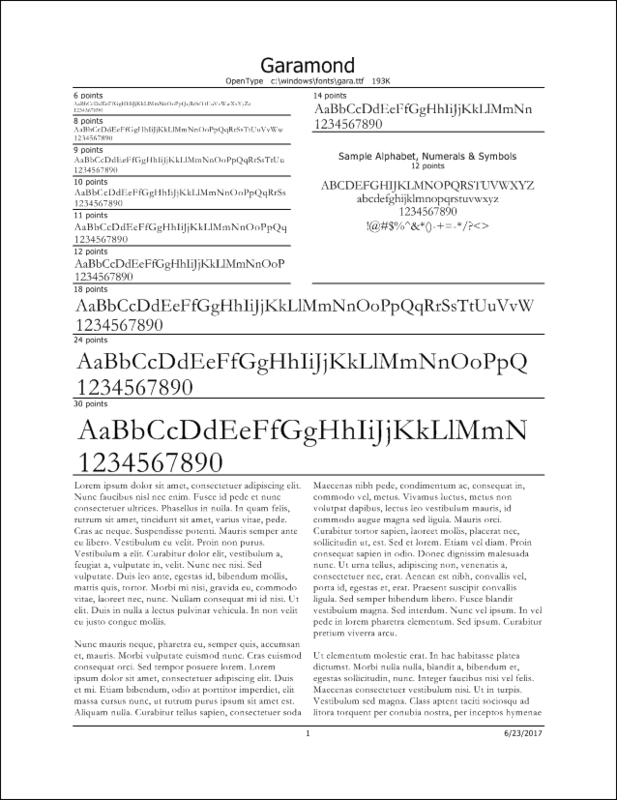 Typography professionals and designers are also refer to these pages as font specimens. 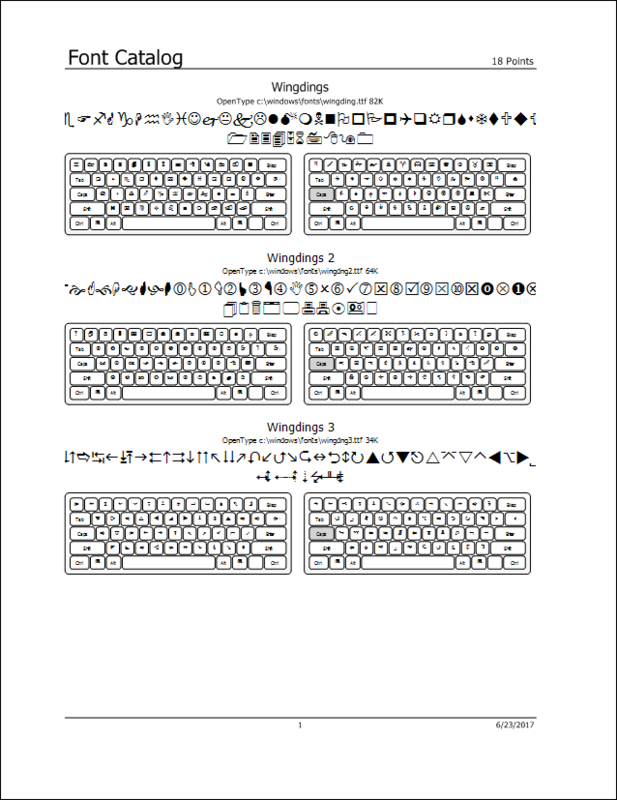 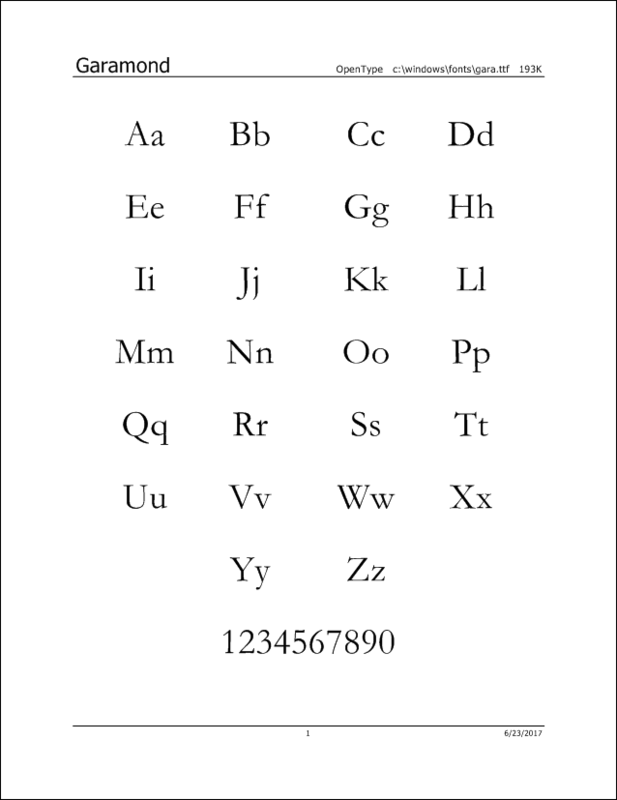 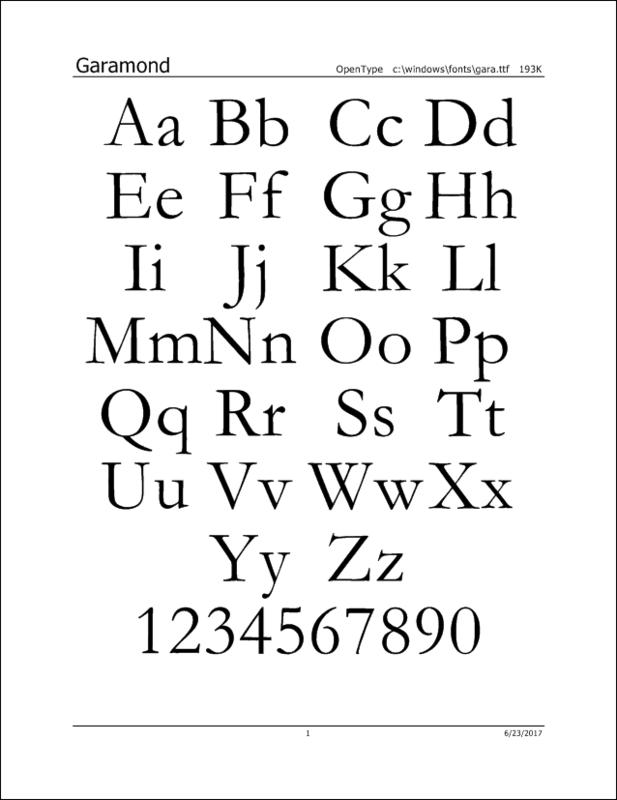 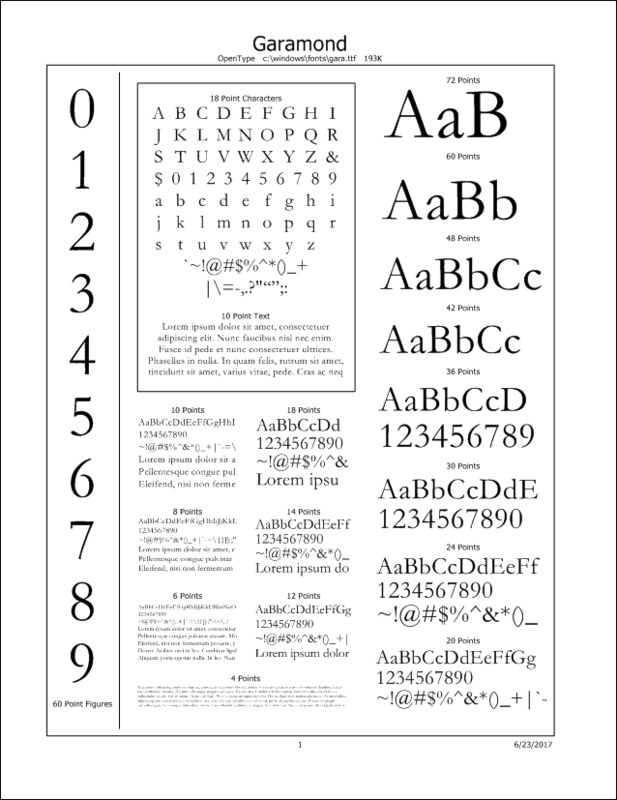 Printer's Apprentice can print 9 different font sample sheets along with a font information page.